Here’s a handy list of some of the best nights out in Kraków. There’s also a handy map below to help you get your bearings. 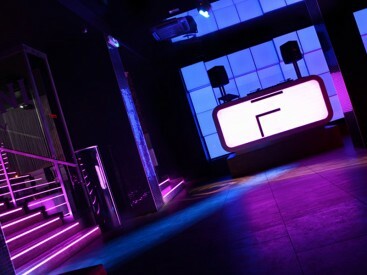 Open from Wednesday to Saturday until 5am, Frantic is a lively, bright vodka bar and club in the centre of the Old Town. With huge platters of meat, the real star of C.K. Browar is a tasting menu of home-brewed beers, which will help you sober up for more drinking. If you’re already here for the cocktails, Baroque’s food will do at a pinch, but order early, as the service can be very slow. An American sports bar, more suited to watching the football with a couple of drinks than dining out. All the same, the menu is broad and will do at a pinch. Actually a North African shisha pub with a mixed menu of local favourites and Mediterranean dishes, Buszek is a very handy stop off for the train station. The cocktails take precedent over Movida’s food and the place can get busy, but it can come in handy if you need a break from drinking.